Ask these 10 questions and there is a good chance that you will not make a mistake while choosing a business school in India. Hopefully, answers to these 10 questions will help clear all your confusion. Do not blindly trust students from media cells or PR companies commissioned to promote business schools. It is their job to create a rosy picture. 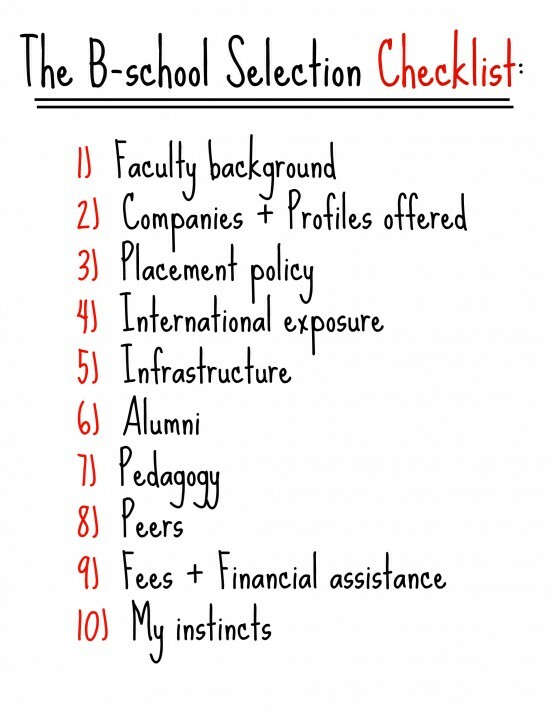 If you do not have enough credible data on all these points listed below or if the business schools and students refrain from sharing details, you need to be even more discerning. 1) What is the background of the faculty? It is often the least researched aspect by potential students in India since placements gloss over everything else. However, quality faculty is the single biggest reason that makes a business school truly worth the investment. You should scan their profiles and see where they’ve earned their Doctorate from or which companies they have been associated with. It would be unfair to paint everyone with the same brush but it always helps if professors have been in the industry or have done research at top universities. There are plenty of professors in some of the top schools in India who have very questionable backgrounds. However, always check with alumni and current students too! 2) What kind of profiles are offered and what kind of companies visit the campus for recruitment? Asking for salary figures and 100% placements is the worst way to choose a business school. We will come to that later. But, you need to ask the right questions about placements. Salary figures are inflated, unaudited and loosely calculated by even the best schools in India. Always remember that you are building a career. Beware of deception. For e.g. Is the job offered by the multi-national bank in the technology function and is the business school fooling you by reporting it under the Finance domain? Will you be working for a bank or actually be a part of a KPO? Scan names of companies and profiles they offer. Try and find out how many students are recruited. Do thorough research. Schools that can consistently court top companies for the kind of profiles you seek are the ones you should target. 3) What is the placement policy of the business school? Indian schools are becoming increasingly notorious for churning out unhappy and dissatisfied professionals. In the race to get everyone a job, extremely poor career policies are in place. The focus is on quantity over quality and the system is designed to make graduates insecure and they end up settling for the wrong job. The result : The graduate is looking out for a new job in the first week of joining his/her company. Everyone is the loser here. The company, the student and the business school (the schools loses brand equity among recruiters). You do not want to be in such a business school. There are schools that force students to take jobs they do not want or sign out in order to declare 100% placements. Ask students about placement policies. Can you decline an offer? Do companies have a pecking order of visiting the campus or do they turn up randomly? Is there a concept of dream companies? In the end, we would say that you would be better served if you do not have an attitude of entitlement in terms of landing a plush job from campus. But, when you decide to join a business school it will only help to make choices that maximize your probability of getting there! 4) What are my chances of getting international exposure? This is another highly ignored aspect by potential Indian students. You will only know the worth of interaction with students and professors from international schools after doing it. It exposes you to different cultures and mindsets. 5) What is the infrastructure in the business school? Your experience can be ruined at a place with eternal infrastructure problems. A large campus with state of art infrastructure goes a long way in making your business school experience memorable and even in developing your personality. Visit the campus if possible. Look at connectivity by air and train. Is there a thriving eco-system around the campus that can support a world class business school? 6) Are the alumni happy? Speak to 3 alumni (all different years if possible) and speak to 3 current students (from different backgrounds if possible). Usually, if you are perceptive enough you will easily figure out whether the place has any culture and unity. Do people have a sense of pride after having graduated from the place? How do they feel 3 years after graduation? In many ways, this is the acid test. Indifferent alumni means the school will never really go too far and that has an impact on your career. 7) What is the pedagogy? Kotler’s original work was written prior to 1960. The world of finance has changed completely over the last 2 decades. If a business school still follows archaic teaching methods, your tuition fees are worth nothing. Are innovative tools used for learning on campus? Do professors go out of their way to be updated with the latest in their field? What proportion of your work is on the field? Experiential learning, anyone? 8) What is the profile of my peers? Now, this is a tough one in the Indian context since same kind of junta applies to all schools but it is still worth looking at. You are bound to learn more in a school with more diversity. And diversity not only in terms of gender but also in terms of graduation streams, work experience, international schooling/work experience, people from entrepreneurial backgrounds etc. EMIs as a result of student loans can cripple you. Especially, if you graduate without landing a job that pays you at least INR 50,000 per month in hand. In such a scenario, the cost of the MBA programme becomes an important determinant of your choice of school. There are practically no meaningful scholarships in India. The Aditya Birla and the OP Jindal scholarships are received by very few people and does not cover even 25% of the cost of the MBA programme in most cases. A lot of schools have large NBFA (Need Based Financial Assistance) kitties but the criteria is so stringent that most middle class general category students will again never be eligible for it. 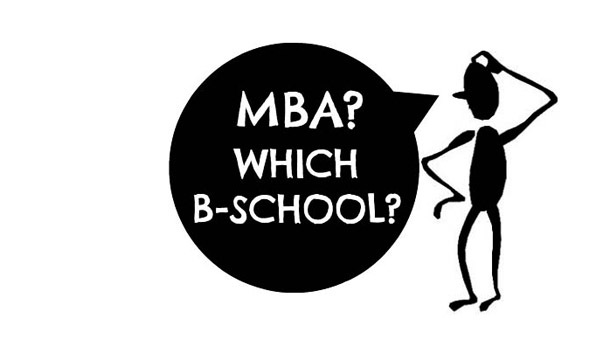 Do not compromise on your MBA experience by going for an altogether inferior programme. But be mindful of the difference in the fees. If one saves INR 600,000 – 800,000 upfront it can have a material impact over the period of the entire repayment of the loan. 10 ) What does your heart say? Follow your instincts. The heart is always right. Do you get a good feeling about a place? Do alumni of certain schools attract you more? Are you taking the plunge treating your decision as a compromise? Answer these questions truthfully. You will seldom regret a decision taken on instinct. Those taken after lengthy deliberations aren’t always the best decisions. Very few schools in India will score well on all the points mentioned above. But this exercise will help keep your expectations real before you enter a business school. Tags: Choosing MBA in India, Choosing the Right Business School, Which MBA?